Vikavolt, The Stag Beetle Pokémon. It zips around, on sharp lookout for an opening. It concentrates electrical energy within its large jaws and uses it to zap its enemies. It produces electricity via an electrical organ in its abdomen. It overwhelms bird Pokémon with shocking beams of electrical energy. Vikavolt flusters opponents with acrobatic flying maneuvers. This creates an opening for it to deliver an electric beam attack. 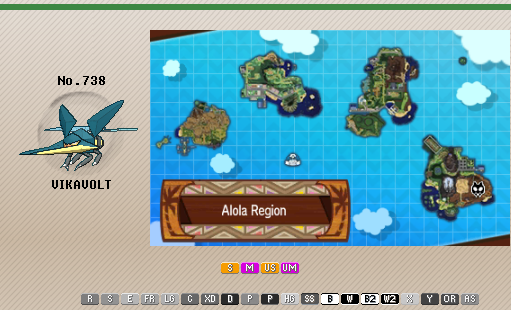 With Levitate and unique typing, Vikavolt is a powerful and unique pivot in lower tier formats due to its ability to check the plethora of powerful Grass threats and abuse its Ground immunity. This is complemented with Vikavolt's monstrous 145 base Special Attack and good enough coverage to apply pressure to a lot of threats, which can quickly become an annoyance if you lack Fire- or Rock-type moves to deal with it. While its movepool isn't too exceptional besides its STAB moves and Grass-type moves, it has just enough coverage to really punish foes, and access to Roost with actually decent bulk make it a surprisingly durable pivot. However, being so slow with only decent bulk is never a good thing in the long run, especially with an awkward set of resistances, so it's hard to make use of Vikavolt outside of niche or lower tier formats. Special Attack - 145 is insanely high especially for a lower tier format. This means not much wants to stomach a hit from Vikavolt, let alone stay in on it without a super-effective move. This power with Vikavolt's alright coverage means not much is safe to switch in. Typing - Much how Levitate is a big part of Vikavolt's success, so is its typing. Bug typing allows Vikavolt to sponge Grass type moves quite well, granting many switch in chances it wouldn't have as a pure Electric. Electric typing gives a Steel resistance and access to Volt Switch to further cement Vikavolt's role as an offensive pivot. Speed - Vikavolt has garbage Speed. While its just fast enough to outpace some walls and, with investment, Diancie and Vaporeon anything offensive will get a free hit on Vikavolt. This can be an issue as Vikavolt isn't very tanky and wants to switch with Volt Switch and a weakness to Stealth Rock can put Vikavolt on a timer. However Vikavolt has low enough Speed to find a home on Trick Room teams using Choice Specs as a powerful wallbreaker, so the awful Speed isn't entirely bad news. Average Utility - While Vikavolt has very unique traits as a bulky and powerful pivot, its bulk is still only average which keeps it from being a more common threat in standard play. It offers a combination of traits that few other Pokemon can match, but it ends up being fairly niche and less specialized than other Electric-types in higher levels of play. Levitate - Grants Ground type immunity - Never a bad ability but it doesn't necessarily complement Vikavolt's stat spread or typing. 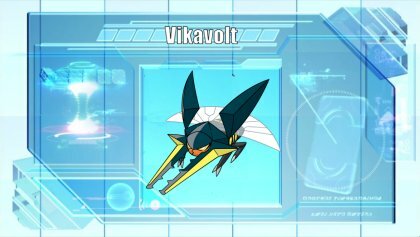 However, without Levitate Vikavolt would lose out on a very handy niche so it does provide useful utility nonetheless. Volt Switch allows Vikavolt to chunk a threat as it tags out into a better Pokemon and creates momentum. Bug Buzz is the primary STAB move of the set and with Buginium Z it can remove a threat quite easily. Energy Ball is just enough coverage so Vikavolt isn't walled by the likes of Steelix and can beat other Ground-types such as Golem and Rhyperior. Roost rounds it out as a way to recover but Thunderbolt can be used as if the recovery is too much of a momentum sink for you. Hidden Power Fire can also be an option for Steel-types, or Hidden Power Ice if you're trying to lure a Landorus-T in Battle Spot. Modest nature is taken over Quiet nature so that it can actually use its Speed to outpace some of the slower defensive foes and threaten them effectively. 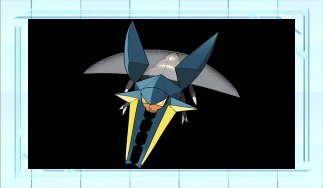 With 152 EVs Vikavolt outspeeds base 50 Speed Pokemon such as Vileplume and Diancie, which is a somewhat common benchmark for defensive foes. However, this benchmark may not be relevant if playing at more standard levels of play, so this can be shifted to HP or Defense if you're trying to use it somewhere like Battle Spot. 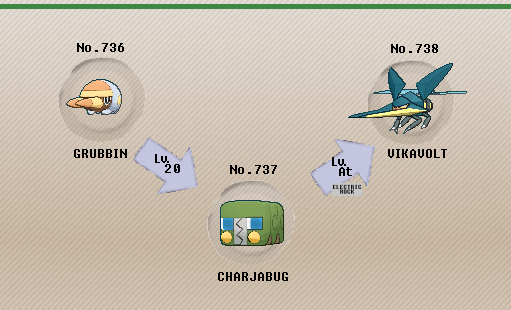 As mentioned before, Buginium Z gives Vikavolt a powerful nuke, though Electrium Z can also work if using Thunderbolt. If a Z-Move isn't an option then Leftovers or Sitrus Berry can give it some extra longevity, with the latter item being better suited to Battle Spot. Choice Specs - With Choice Specs Vikavolt becomes a terrifying threat while playing the same role but with more Volt Switch spamming. EVs remain the same as well as moves as Vikavolt has just enough coverage with Energy Ball, naturally with Thunderbolt over Roost. Assault Vest - As hinted at before, Vikavolt can have a rare niche in Battle Spot, and Assault Vest is an option to make it an effective rain check. With Energy Ball to snipe Mega Swampert and enough special bulk to handle the rain setters and Kingdra, it can definitely fill this niche as a rain check that can also harass lead Landorus-T.
Silvally - Silvally, namely Steel Silvally, is a strong option as it provides Defog to remove hazards, as well as Parting Shot for pivot utility. This pivoting tool in combination with Vikavolt's Volt Switch means they can keep the opponent on unfavorable ground with constant switching, but the core is Fire-weak so be wary of this. Blastoise - Resisting Fire-type moves and providing hazard control with Rapid Spin, Blastoise can make a solid partner to Vikavolt as it can chip at Special Walls or cripple them with Toxic them to make it harder for them to answer Vikavolt. Diancie - With its high Special Defense, Diancie is a solid answer as it can eat an Energy Ball and KO Vikavolt back with its Rock STABs. Stealth Rock - With Bug typing and its nature as a pivot, Vikavolt has a hard time with Stealth Rock and it can be an easier way to answer Vikavolt than adding a direct check to the team. Faster Pokemon - As previously noted, while Vikavolt hits like a truck, it's very slow. If Vikavolt can't immediately threaten a foe then it can't always afford to stay in to eat a big hit, since it can't always count on just healing up with Roost. Fire-type Pokemon - Most Fire-types don't want to switch into a Thunderbolt, but otherwise they can usually eat a Bug Buzz and threaten back with a powerful Fire-type move. Something like Heatran, Emboar, Arcanine, or Entei can easily handle a Bug Buzz, and they can take a Thunderbolt in a pinch provided Vikavolt isn't carrying a Choice Specs.